At St. Luke’s, we’re all about opportunity. The opportunity to learn, to develop, and to succeed in everything from academics and emotional growth, to friendships and spiritual growth with God. Our elementary students are set up for success to excel in a Christian environment—a place where safety and love inspire innovation and creativity. Every child at St. Luke’s is considered as an “unrepeatable miracle of God” and is always encouraged to explore their unique passions, talents and skills. 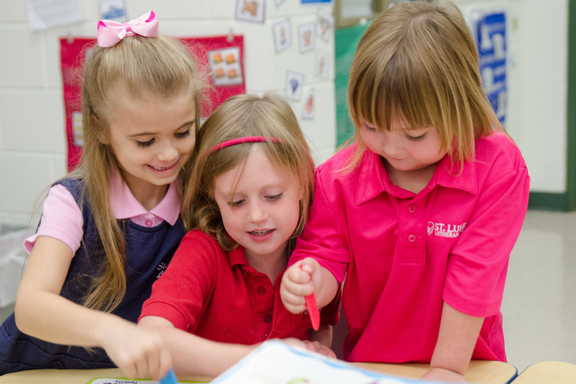 St. Luke’s students are presented with all kinds of great experiences, including a robust variety of fine arts, technology and athletic opportunities. 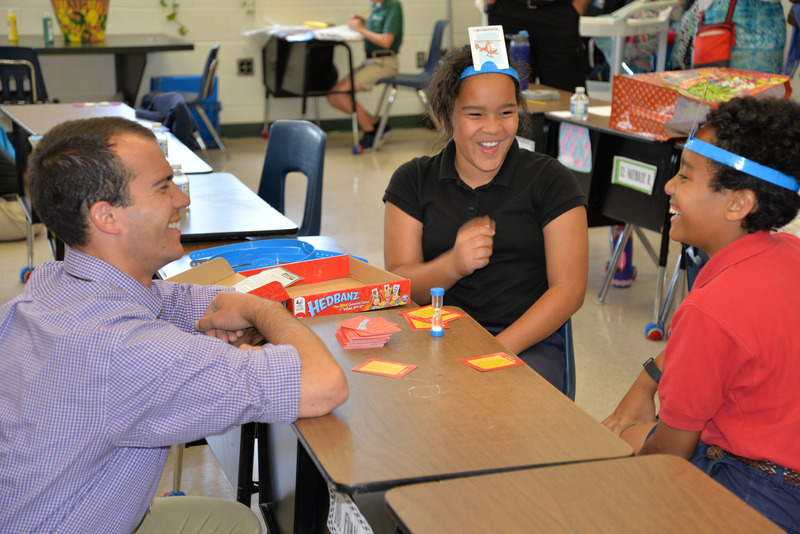 Learning is fun and interactive, and our elementary students are encouraged to think both creatively and analytically. Teachers utilize inquiry-based learning to allow students to be actively involved in their education. Students also have the option of flexible seating, including a rocking chair or a wiggle stool, which allows them to be actively engaged in classroom discussions at their comfort level. Our teachers at St. Luke’s are here to encourage and love each student individually to help them reach their full potential. All of our teachers are degreed and certified, and most have an average of 10 years of experience working at St. Luke’s. We love that our faculty and staff truly treat each child as an unrepeatable miracle of God. Our elementary curriculum is strategically planned by faculty to help our students develop their love of learning with academic rigor, including flexibility based upon each student’s needs. Students have opportunities to meet national authors and be engaged in hands-on experiential learning that is always integrated with Christ and Scripture in mind. We believe that students are all created with their own God-given talents and strengths. Our elementary students have the opportunity to experience a variety of learning opportunities, including: art, choir, foreign language, reading, music, physical education, and technology. St. Luke’s enhances each elementary student’s educational experience by equipping them with cutting-edge technological resources. All classrooms are equipped with interactive whiteboards and Chromebooks. The Chromebooks enable students to work and learn within their own skill level while receiving personalized lessons and targeted goals. St. Luke’s inspires personal creativity by giving students the opportunity to explore famous artists, musicians, and cultures from around the world. Every student learns about cooperation, basic motor skills, and a variety of complex physical activities as they relate to fitness, conditioning and sports.